The Hadejia Emirate Council’s Zakat Committee in Jigawa has distributed grains worth N4.3 million to 2,349 under- privileged in Marke, Guri and Dumadumin-Toka districts, the News Agency of Nigeria reports. A member of the committee and Chief Imam of Hadejia Central Mosque, Sheikh Yusif Abdulrahman, disclosed this to NAN in Hadejia on Monday. The Zakat, which is a compulsory tax in Islam paid annually on farm produce, livestock and cash that attain certain percentage of growth. AbdulRahman said the grains distributed to the needy included maize, sorghum and millet. “Zakat on grains is an annual exercise in which farmers, who harvest a certain quantity of grains, are expected to give a percentage of it to the downtrodden. “The produce generated from the farmers are normally stocked at the residence of either the ward head or the village head, and the committee will later go round and distribute them to the needy in that area,” he said. According to him, Out of the 501 bags of grains distributed, 218 bags were distributed to 1,218 persons in Guri, 174 bags shared to 592 persons in Marke, while 539 persons got 109 bags in Dumadumin-Toka. The cleric, therefore, called on large scale farmers and other wealthy individuals to fear God and ensure that they give out of Zakat as at when due. 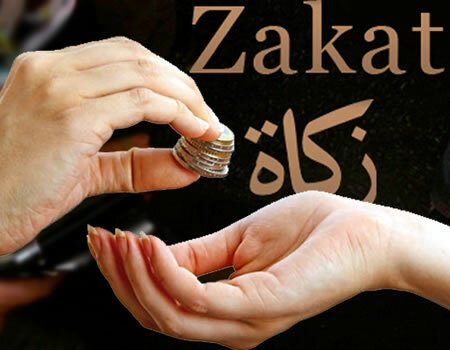 Zakat is one of the five pillars of Islam and is meant to purify the wealth endowed to one by Allah, and assist the needy overcome some of their challenges.